The Foreign Sales Corporation (FSC) bill, which includes a measure that would repeal the 30 percent alien withholding requirements and allow the domestic horseracing industry to further export its product to foreign markets, was signed into law by the President this morning, October 22, aboard Air Force One. The primary focus of the FSC legislation is to repeal subsidies for U.S. exports that the World Trade Organization (WTO) has deemed illegal. Key supporters of the Thoroughbred industry in Congress included language in the bill that eliminates the 30 percent withholding tax that foreigners would pay on winnings for pari-mutuel wagers into U.S. pools. The 30 percent withholding effectively precluded common pooling by foreign countries into U.S. wagering pools. 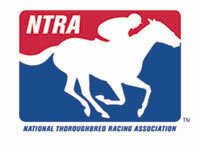 NTRA officials expect that the elimination of the 30 percent withholding will help open the $85 billion international market for horseracing to U.S. common pooling. If five percent of that were to enter U.S. pools, another $4.25 billion in handle and some $135 million in commissions would be realized by domestic racing interests. The Oct. 30 Breeders’ Cup at Lone Star Park will feature international common pools with Ireland, United Kingdom, France, South Africa, Switzerland, Panama, Germany, Austria, Peru and Australia. In addition to eliminating the 30 percent withholding, the FSC bill contains provisions to eliminate a series of tariffs on a variety of exports to the European Union, including horses. The tariffs began in March at 5% and have increased 1% each month since. The FSC bill also contains legislation that will allow citizens of states without income tax to deduct their state sales tax from federal income taxes. This provision will lessen the tax burden on residents of Florida, Nevada, South Dakota, Tennessee, Texas, Washington and Wyoming.